Brenton Butler has officially signed to play in Germany with RSV Eintracht Stahnsdorf where he will be the team’s starting point guard. 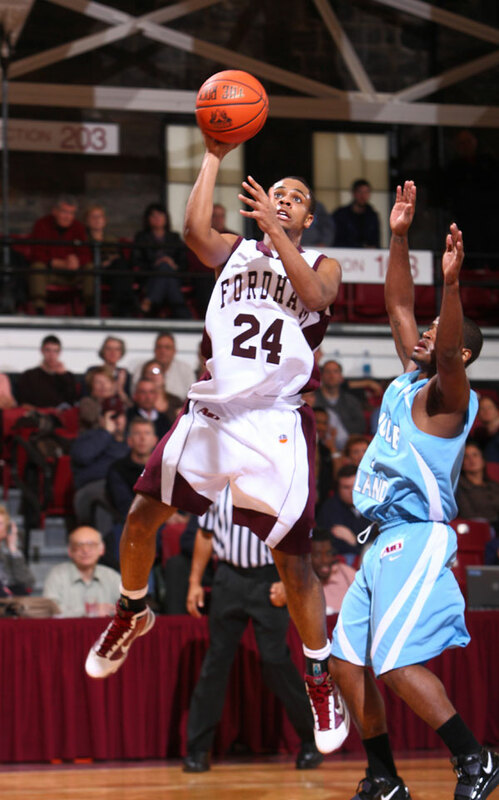 Brenton graduated from Fordham University where during his senior season (2010-11) he averaged 14.6 points per game and lead his team in total assists & three pointers made. 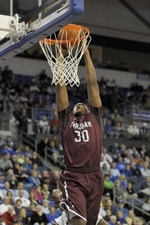 Brenton ranked 13th in the Atlantic 10 in scoring and third in free throw percentage. Brenton was also the recipient of the Terence O’Donnell Award, presented to the Fordham Athlete who best exemplifies the qualities of sportsmanship, loyalty, dedication and self discipline. Over his career, Brenton scored 1,525 points and finished his career ranked third on the school’s all-time three pointers made list. Carlos Beltran out of New York but is he the 2nd greatest Mets hitter of all time? Carlos Beltran has a gift. It’s the gift of effortlessness, the ability to do the spectacular while appearing to barely break a sweat. Problem is, that gift comes with some serious baggage. If you spend any amount of time listening to local sports radio — which is usually a decent proxy for the typical fan — you know that there is a large section of New York Mets fans who perceive Beltran’s smooth style as indifference, and view the called Strike 3 he took in Game 7 of the 2006 NLCS as a microcosm of his passive approach to the game. That perception, coupled with the expectations that came with Beltran’s $119 million contract, led some to believe that Beltran isn’t all he was cracked up to be. Now that he has been traded to the San Francisco Giants, it’s time to reflect on Beltran’s legacy. Though some will say he was never worth the money, his production says he is among the best players in franchise history. In reality, he lived up to that contract as well as could have been expected and became the Mets’ most productive player since Darryl Strawberry. In some ways, this isn’t a particularly controversial statement; the Mets haven’t exactly been churning out superstar players over the past two decades. 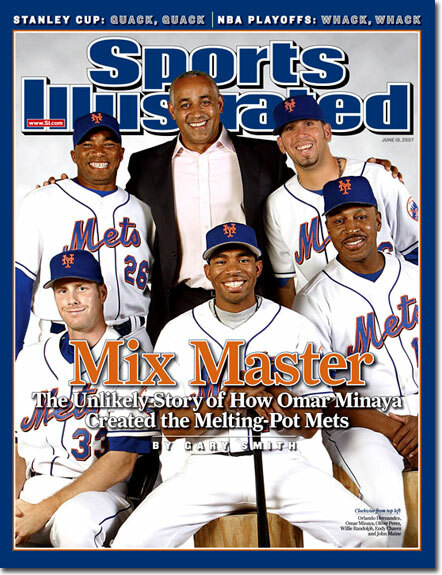 The only other players who are seriously in the conversation are David Wright and, of course, Mike Piazza. While many would concede that Beltran was a better player than Wright during his Mets tenure, it’s much tougher to convince Mets fans that Beltran had a better career with the team than Piazza did. If you head to Baseball Reference and check out the Mets’ career leaders for wins above replacement — which measures hitting, defense and baserunning — you’ll see that Strawberry is the franchise leader, Beltran is second and Wright is just behind him. Piazza? He’s No. 8, despite the fact that he had 300 more plate appearances with the Mets than Beltran did. This is relevant because WAR is a counting stat, so more playing time should, theoretically, mean a higher WAR, and explains why Mookie Wilson ranks ahead of John Olerud. It also explains why the gap between Beltran and Wright is even larger than it looks. Despite the fact that Wright was called up to the big leagues half a season before Beltran signed with the Mets, Beltran still has him beat. So why does Beltran rate so much higher than Piazza? There’s a couple of reasons. For starters, although they both played premium positions, Beltran played his very well. He also had great value as a baserunner, succeeding on 100 of his 116 steal attempts during his career in New York. Lastly, after a poor first season with the Mets, Beltran has performed like a superstar ever since. In fact, his 151 OPS+ this year is the highest of his career, even higher than his 2006 season. 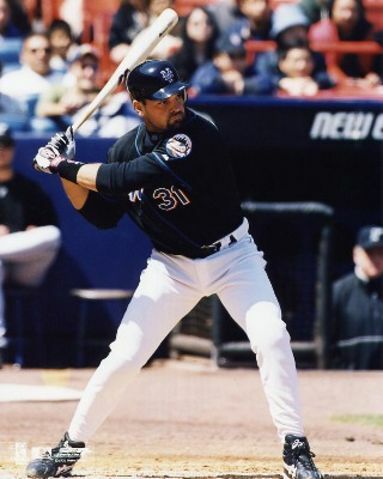 Piazza, on the other hand, finished out his Mets career with three mediocre seasons at the plate while supplying no defensive or baserunning value. And if you want to talk about peak value, forget it. As good as Piazza was, nothing he did compared to Beltran’s 2006 season, when he set the team record with 41 homers while posting a .982 OPS and playing stellar defense in center. Bill James once wrote that players who do one thing really well are typically overrated, while those with a broad set of skills are usually underrated, and Beltran most certainly falls into the latter category. Much of his greatness is subtle, such as his fantastic defense and baserunning. You want to knock him for his injuries? That’s understandable. But keep in mind that he is one of just five Mets to ever play in 161 or more games in a season. And when he was on the field, he always produced like the star he was paid to be. Sure, he struck out to end the 2006 NLCS, but is it his fault that Billy Wagner gave up the go-ahead home run to light-hitting So Taguchi in Game 2 of that series? Or that the Mets started John Maine, Steve Trachsel and Oliver Perez in five of the seven games? It’s easy to forget, but on the last day of the 2008 season, when the Mets were in the middle of their second straight collapse, Beltran hit a two-run homer off the Marlins’ Scott Olsen to tie the game at 2-2. The Mets would lose the game, but through no fault of Beltran, who almost saved their season. 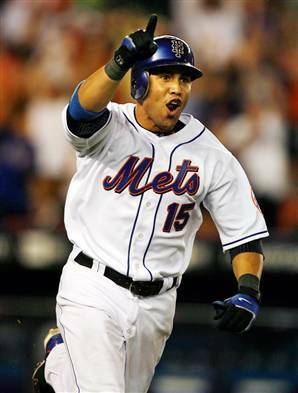 Over the course of his Mets career, Beltran posted a .280/.367/.500 line while averaging 29 homers and 108 RBIs, playing stellar defense in center and stealing bases at an efficient clip. If you expected the Mets to get more for their money, then your expectations are entirely out of whack. None of this is to say you have to like Beltran, because choosing a favorite is extremely subjective. But there is no denying that he was an extremely productive player who should be remembered as one of the greatest Mets of all time. The NBA next year ( if there is a next year) will not be the same without some of the most dominant centers of all time playing basketball. This summer, Shaquille O’Neal and Yao Ming decided to hang up their shoes and retire from the game but for different reasons. Shaq retired from the game due to his age at 39 and the fact that last season he couldn’t recover from an Achilles injury. Yao had injury problems. He hurt his toe about 2 years ago and wasn’t able to sustain the health to be able to play every single day. Yao, who will turn 31 in September, missed a total of 250 regular-season games over the past six seasons due mostly to injuries to his left foot and leg. But the reason they will be missed so much is that both players brought a new style of game to the NBA. Shaq was a bruiser in the middle and could out rebound everyone but could also muscle himself into position to be able to score on almost every single possession down the floor. 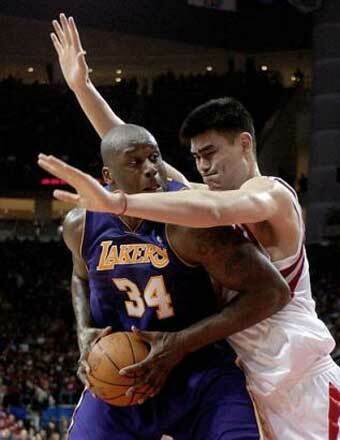 Yao on the other hand was so tall at 7 foot 6 inches that he could get into any position and shoot over any other defender blocking him. His skill around the basket was just exceptional and the hands he had were what made his game from an all-star to a superstar. But what nobody knows about these two great players of their decade is that we won’t see any other combo dominate the league like they did in the last decade. Take a look at these accolades…. Shaq ended his with 28,596 points, 13,099 rebounds, 15 All-Star selections, four championships and three NBA Finals MVP awards. He was drafted No. 1 pick in 1992 by the Orlando Magic and played for 19 seasons. He played for the Magic, Lakers, Heat, Suns, Cavaliers, and Celtics. Yao Ming’s legacy reaches far beyond his nine years in the NBA. He arrived on the scene as the top pick of the Houston Rockets in the 2002 NBA Draft, the fifth player taken No. 1 overall by the Rockets, and third 7-footer following Ralph Sampson (1983) and Hakeem Olajuwon (1984). He also was an All Star in 8 out of his 9 seasons played in the NBA. 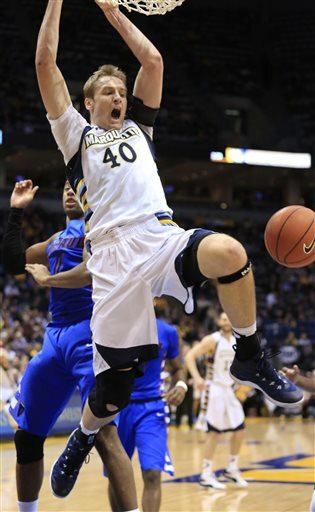 He finished with career averages of 19.0 points and 9.2 rebounds, including two seasons when he averaged 20 points and 10 rebounds. He retires sixth in Rockets history in points (9,247) and rebounds (4,494), and trails only Olajuwon in blocks. Yao also was a terrific free throw shooter — especially for his size. Among players with at least 1,000 free throws made, Yao ranked second among 7-footers in highest free throw percentage (83.3), behind only Dirk Nowitzki‘s 87.7. Can you just imagine if these guys would play a little longer in the league? 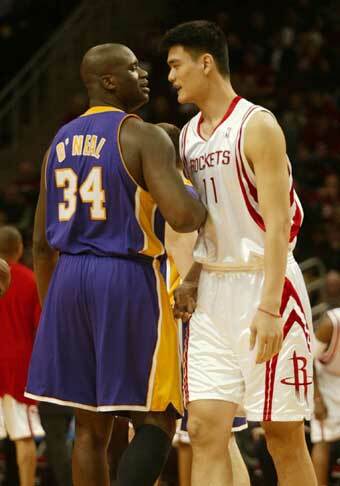 Shaq would have had 30,000 career points and Yao would have been one of the best shot blockers and could have been a near 10 time all-star. I can’t even think of a duo that could put up those records right now in the NBA. The closest combo that I could think of is Brook Lopez of the Nets and Dwight Howard of the Magic. But besides that, I don’t think anyone can do what these two have done. For a guy like me that loves the NBA, I think everyone has to sit down and just relive the moments these two have brought to the NBA. Appreciate the battles, the accomplishments, and the greatness they brought to the game that players still strive to do. Hey Sports fans! It’s Donnie Dwyer, the creator of thesportscycle.com. I just want people to know that I am looking for another contributor to the site besides myself to help update people with the news and information in the sports world. If you are interested or want to be a part of the experience just shoot me an email at donald.dwyer@marquette.edu and I would love to hear from you. The help to the website would be awesome and I think the fans really appreciate what the website brings to them. Thank you and have a great week! The fan who returned Derek Jeter’s ball from his 3,000th hit will get a bit of memorabilia to keep — his own baseball card. 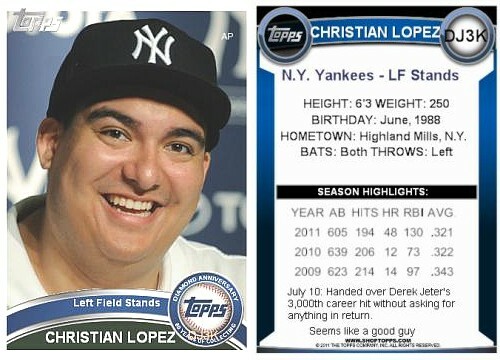 Topps says it will produce a trading card featuring Christian Lopez that will be included in sets later this year. “We thought what he did captures the essence of what baseball and the Topps company is about,” said Mark Sapir, Topps vice president for sports. The recent college graduate with outstanding student loans will get some financial help, too. Memorabilia dealer Brandon Steiner and sporting goods CEO Mitch Modell said they will make sure Lopez gets at least $50,000 toward his outstanding student loans of $150,000. “That itself is a totally awesome situation right now for all parties involved,” Lopez said. What impressed the sports executives — as well as countless fans across the country — was the way a 23-year-old mobile phone salesman passed on the chance to sell the ball. 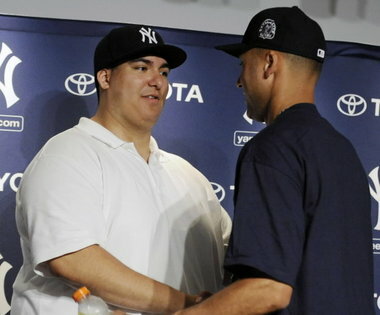 Instead, Lopez gave the ball to Jeter, saying he deserved to have the keepsake. “Can you believe how good a mensch this kid was?” Steiner said. Lopez has been overrun with requests since Saturday. His favorite? A Yankees card, of course. It depicts Babe Ruth and one of the Yankees’ owners at the time he came over from the Red Sox in 1920. “It’s a very dear card to me. I’ve had it for 15 years now or so,” Lopez said. Now he’ll have another Yankees card to keep next to it.